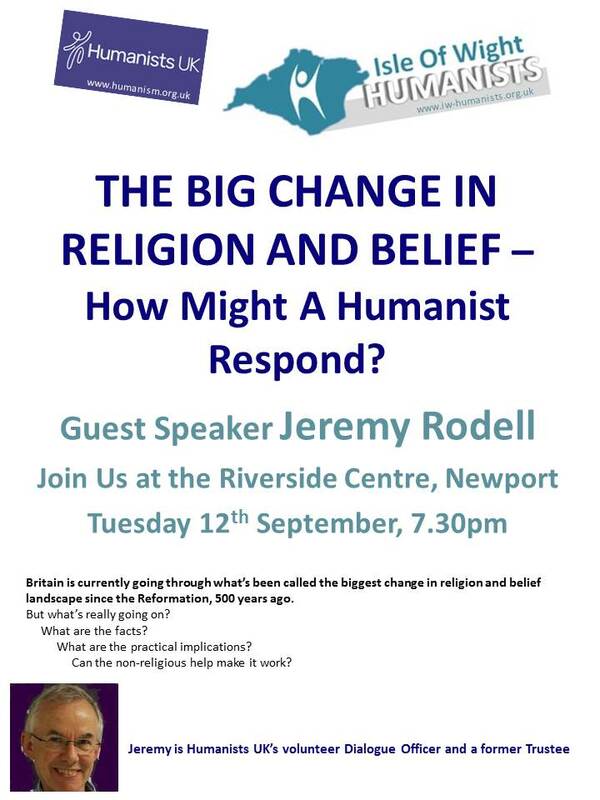 In September 2017 Jeremy Rodell explained ...The Big Change in Religion and Belief - How might a humanist respond? Britain is currently going through what’s been called the biggest change in religion and belief landscape since the Reformation, 500 years ago. But what's really going on? What are the facts? And what are the practical implications? Can the non-religious help make it work? Jeremy Rodell is a Trustee of the British Humanist Association and its volunteer Dialogue Officer.